"Hi @leandrotavaresrocha, We've fixed this issue in the release 4.8.13, so, you should not face the same issue after upgrading your site to 4.8.13. Also, no other client has reported this issue so far to be found in 4.8.13 core module. So, please make sure that if this issue is not taking place on your site because of a third party module or widgets belonging to that 3rd party module. You can recheck this issue after disabling the third party plugin if such a 3rd party plugin exists on your site the widgets belonging to which are placed on the page on which the issue has taken place on your site. If the issue gets resolved on disabling the 3rd party plugin, so it confirms that the issue belongs to the plugin itself and you're suggested to contact the developers of that plugin to assist you in resolving this issue. And if the issue still persists after you've disabled the 3rd party plugin, then please submit a support ticket to us for this issue at support@socialengine.com, so we can proceed to look further into this. Thanks & Regards!" "@gs We do have plans to migrate reviews of those experts who participated in the beta launch of our website that was an option open for all the developers. Currently, we're in the process of fixing small things on new site and once that's done, we'll soon be migrating reviews. Thanks!" "@seTweaks @Eugene We still have plans to migrate reviews of experts who participated in Beta launch. So, you guys don't need to worry about that :) Thanks!" "Hi @Gs, Unfortunately the feature i.e. to drag and drop widgets in the Layout Editor is not possible with mobile devices. So, any changes in the layout of the pages (changes that require drag and drop of widgets) can only be made in the desktop version of the site. Thanks!" Great News! 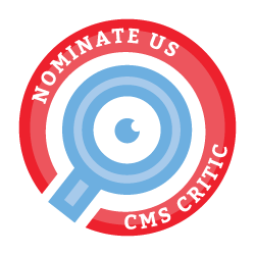 SocialEngine has reached the nomination for the CMS Critic Awards under ‘Best Social Network Software’ category. We want to thank you all for showing your support by nominating SocialEngine. Now, it's time to win this Award again (Remember, we won last year as well!). Fill in your name, email and select ‘SocialEngine’ under “Best Social Network Software” category. Click on ‘Submit Vote’ and you are done! You can also spread the word by getting socially active: Keep doing regular posts on Facebook and Twitter asking your fans and followers to vote for SocialEngine. Additionally, we’ll be actively promoting the awards on our facebook page and @SocialEngine account - feel free to share and retweet. Last date of voting is November 1st, 2016. Let’s get SocialEngine another win! Sieg When we will get news about the version 4.9 and several other importants updates like support to GIF and different decimal separators? I would like to vote in SE, but your concorrent are doing a better job. SocialEngineAddOns Congratulations SocialEngine team for making it to the nominations! We have casted our vote and can't wait to see SocialEngine winning this award again. We have also done a blog post for this on our website to help get more votes. We're also planning to spread the word more through our social channels. C'mon SocialEngine Community! Let's make SocialEngine PHP win this again! Its that time of year again! Awards season is back. 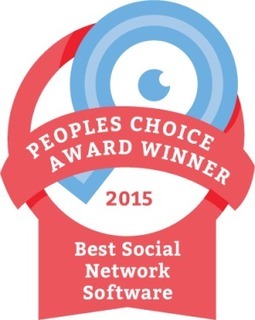 Last year, thanks to all your support we won the "Best Social Network Software" award by a huge margin! Deadline for submitting the nominations is September 1, 2016. As always, thank you so much for all your love and support for SocialEngine. Let’s start a winning streak! It was 9 years back, on June 1, 2007, that SocialEngine 1.0 was released. Since then, SocialEngine has evolved from being a Social Network software to a full-fledged platform for online community building. To celebrate last 9 years with you, we’re offering 9% off your purchase of SocialEngine PHP for next 2 days. Use code “SE_9Years” at checkout to SAVE 9%. Offer will ends on midnight, June 2nd, 2016. 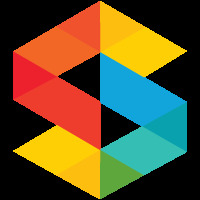 A Big Thanks to the SocialEngine community who voted for SocialEngine on http://www.cmscritic.com/ and have shown your trust in us. Thanks to the large number of web admins who are running their communities with our software. We have great stuff coming up for you! SocialEngineSolutions Many Congratulations SocialEngine and all developers who are providing great efforts in providing best of the plugins, themes and services to SocialEngine users. SocialEngineAddOns Congratulations to the SocialEngine community! This has reaffirmed our confidence that SocialEngine is the best software for creating online communities. Our latest releases for SocialEngine were the native iOS and Android apps, and we have more exciting releases lined up! Hire-Experts Congratulations! Keep moving forward and get more awards! Its never been a better time to purchase SocialEngine PHP with our biggest sale of the year. With $175 off our Advanced bundle, its better time than ever to get the most feature rich and stable Social Networking Software. It’s a rare deep discount offer, and it will expire soon so ACT NOW! The 25% discount will automatically be applied during checkout when you purchase SocialEngine PHP between now and midnight EST, Monday, November 30th. Over the past couple of months SocialEngine has made available importer scripts for Ning 2.0 and PHPfox. In celebration for the first 10 days of October (Oct 1 – 10) we are offering 10% off your purchase of SocialEngine PHP. Use code “SocialEnginePHP10″ at checkout to SAVE 10%. You can help out by clicking here: http://awards.cmscritic.com/nominate/ and filling out the nomination form. SocialEngineAddOns SocialEngine truly deserves to win this award. With so many users to nominate, SocialEngine's victory is guaranteed. We will left no stone unturned in providing a great contribution from our end. We are happy to announce the launch of a 3rd party PHPfox importer script for SocialEngine PHP. Developers looking for a PHPfox alternative now have an easy-to-use tool that was thoroughly tested on large customized PHPfox sites. Click through to the blog post for details! SocialEngineAddOns This import tool is a boon to clients who are looking for a feature-rich, interactive, easy-to-use platform to build their social networking website. SocialEngine offers a wide range of 3rd party plugins and themes that can be heavily customized to match a brand's requirement. The whole migration process is safe and seamless using this importer tool. So, you can easily migrate your PHPFox website to SocialEngine and need not wait to start a thriving online community. You can run this migration script multiple times in Test Mode before running it in Live Mode. You may contact us using the link ( http://www.socialengineaddons.com/contact ) for this import tool, we will be happy to help you in migrating your PHPfox website to SocialEngine PHP.